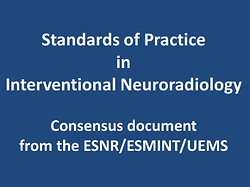 Introduction: The aim of this study was to evaluate the diagnostic value of conventional ultrasonography (USG) and color Doppler ultrasonography (CDU) with elastography strain ratios (ESR) in discrimination between benign and malignant lymphatic nodes. Material and methods: Two hundred and forty-seven patients (252 lymph nodes) were included in this study. USG and CDU with ESR were performed. Materials were obtained by using fine-needle or vacuum-assisted aspiration methods depending on the site and condition of lymph nodes. The χ2 test and Student’s t-test were used for comparisons. Results: Ninety-two of 252 (36.5%) lymph nodes were malignant, and 160 (63.5%) were benign. Short axis, S/L ratio, presence or absence of the fatty hilum and extra-hilar vascularity were valuable, statistically significant indicators of malignancy. In contrast, long axis and ESR were not significant indicators of malignancy. The short axis cut-off value was calculated to be 12 mm and the S/L ratio cut-off value was calculated to be 1. Conclusions: Long axis of lymph nodes and strain ratios cannot be used as malignancy criteria, and their use is controversial despite the fact that some studies have found them valuable. On the other hand, our results support common knowledge that the short axis, S/L ratio, absence of the fatty hilum, and extrahilar vascularity are significant indicators.